Thanks so much, Anthony, for the opportunity to guest blog at your place. I’m currently in the midst of a 10-day blog tour to promote my new novel TELL THEM I DIED. 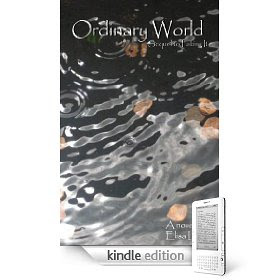 Amazon has paperback copies listed for $8.99 and an Amazon Kindle version for $3.99. You can find it also on BarnesandNoble.com in NOOK version for $3.99. I need reviews to help generate word-of-mouth buzz and interest in the book. TELL THEM I DIED is a romantic adventure that doesn't conform to the usual romance novel genre in that the protagonists are all over fifty years of age, retired, and with discretionary time and funds to enjoy life, and online friends to share every minute. And unlike other romances, much of the action takes place on the Internet on social networking sites. The story was inspired by the many people I came to know and love over many years on social networking sites. People who are not online a lot don't realize how real those long-distance relationships can be. Over all those years, my online friends have married, had children, divorced, and some have died. And then there is the travel element. My husband and I travel a lot, and we share our travel photos with our friends online. Several friends have suggested that I write a book about my travels. I think travelogs can be rather boring, but I decided to weave some of our adventures into the story. The main characters of TELL THEM I DIED are Laura (Screen name: A1QTEE), owner/operator of Blaq-Kawfee.com, and the men in her life who come in an out of the social networking scene. There is Laura's number one confidante and forum moderator, Angela (Screen name: Angelplaits), and her husband "Bodine." The men in Laura's life, ex-fiance', Jackson (JackDaniels), Lester (TheGuy), Laura's son, Carlton, and her some-time boyfriend Harman all present challenges for Angela as she tries to find out what happened to her dear friend when she gets the news that Laura has died. 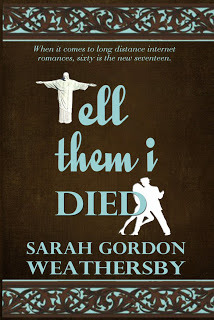 I hope you’ll take the time to check out TELL THEM I DIED and write a review at Amazon.com or on your blog. It's a light-hearted page-turner of a story, that my early reviewers have said they hated to end. My tag line: When it comes to long-distance internet romances, sixty is the new seventeen. She tossed and turned another night until the talking Caller ID voice announced, “Call from Las Vegas, NV.” It annoyed Angela how the voice tried to pronounce NV, as a word and not as separate letters. She reached for the phone, not looking at the clock. Her eyes couldn’t focus on it anyway in the dark without her glasses. She knew it was Jackson. “Why did you set me up like that?” he asked. “Did you see him?” Angela asked. I appreciate your time and consideration, and I hope you’ll enjoy my novel. Thanks so much, Anthony and friends. The exciting novel based on true events, The Man Who Fooled SAVAK, will launch as a print version in February. Preorder your copy at a special publisher's discount price of $10.99 plus 4.99 shipping & handling - $15.98 or $5 off list price. Send an email to info@outerbankspublishing.com with your name, address, phone number and email address. We decided to reprint this interview with Douglas Roberts about what inspired him to write such a book. The interview was originally published June 19, 2011. When Doug Roberts approached us with his manuscript, The Man Who Fooled SAVAK, it was one of those stories that completely engrossed you where you couldn't put it down until it was finished. It was the worse two-week killing spree in Ohio’s history. On the night of July 21, 1948, Robert Daniels and John West entered John and Nolena Niebel’s house in Mansfield, Ohio with loaded guns. They forced the family including the Niebel’s 21-year-old daughter, Phyllis, into their car and drove them to a cornfield just off Fleming Falls Road in Mansfield. The two men instructed the Niebels to remove all of their clothing, and then Robert Daniels shot each of them in the head. Scott Fields of Mansfield, Ohio was so intrigued by this true story that he turned the horrific events into a page-burning novel that you cannot put down until you turn the last page. During a recent book signing in his hometown of Mansfield, Scott was approached by a man he had never seen before. The man introduced himself and Scott's jaw dropped. 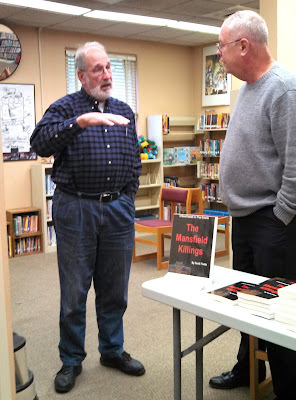 I had just begun a book signing when a dignified, older man walked through the door. He stood in the back of the room as I finished with the person in front of me. He then approached me and shook my hand introducing himself as Roger Winger. I had no clue as to who he was in spite of his obvious pause as he waited for me to take heed of his presence. “You don’t know who I am, do you?” he asked. For several seconds I stood there with mouth open trying to comprehend what he had just told me. I grabbed him by the arm and led him into another room. “Did you see the bodies?” I asked. Small talk followed, and soon we said our goodbyes. I did manage to get his phone number and address, because I have many more questions for him. The Mansfield Killings now at this special publisher's discount price of $12.99 (List $14.99). As Winter nears, the days shorten and the air gets colder, I begin to think how lucky most of are with all that we have or will have. I also think of those who don't have and it makes me even more grateful of not only the things I have, but also what's most important - friends, family and the love and passions in my life. While we all get consumed in the trimmings of this Thanksgiving, try to take pause and look around at all that you have to be grateful. It could be a warm house with the cozy smells of a turkey feast; the smile and laughter of a child; the love of a cherished person. Then think about all those who don't have what you have and be thankful. It seems there is only one formidable opponent competing on level ground with Amazon's Kindle and that is Barnes & Noble. With the launch of their new ebook self-publishing venture, Pubit, in early October, the book store giant is finally on equally footing with Amazon. Both companies have control of the entire ebook publishing process from obtaining manuscripts to marketing, sales and distribution. Both companies have a huge inventory of books. Both have years of experience selling books. And the war is on. Check these other similarities between the two competitors as they try to one up each other. Amazon pays its Kindle authors 70% of the list price if the price is $2.99 or more. 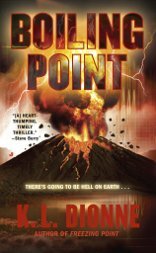 B&N pays its Pubit authors 65% of the list price if the price is between $2.99 and $9.99. It is free to upload and publish your manuscript as an ebook on both Amazon and on Pubit. 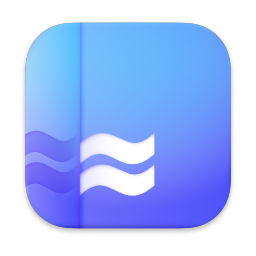 Both companies have free, downloadable apps that will allow their ebooks to be read on other devices such as the iPad, iPhone, Android, PC and other mobile devices. B&N claims they have more than 2 million NOOKbook titles. Amazon claims to have more than 725,000 Kindle titles. Amazon lowered its Kindle price to $189 last year. B&N lowered its NOOK price to $149. 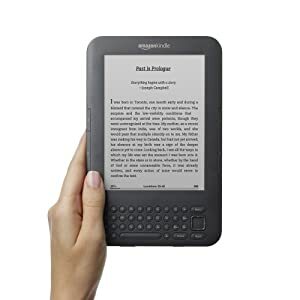 Amazon produced a next generation Kindle that is thinner, has longer battery life and a crisper screen in a cool graphite shell. B&N recently introduced a full color model in a graphite body with a full touchscreen. 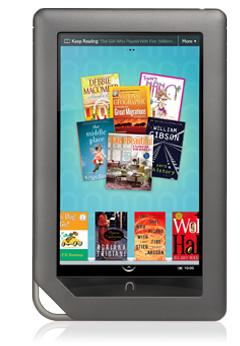 More great ebook devices and apps at great prices and lower book prices. Who will win? No one knows. Maybe both will. 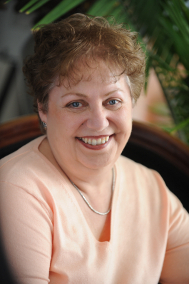 For authors undecided about publishing on the Kindle or the NOOK, well, pick one or pick both. You will win either way. Both companies have an equally strong market share and different market segments. After all, think of how boring life would be if there were only one car company, one computer company, one pizza shop, and only one big ebook retailer. 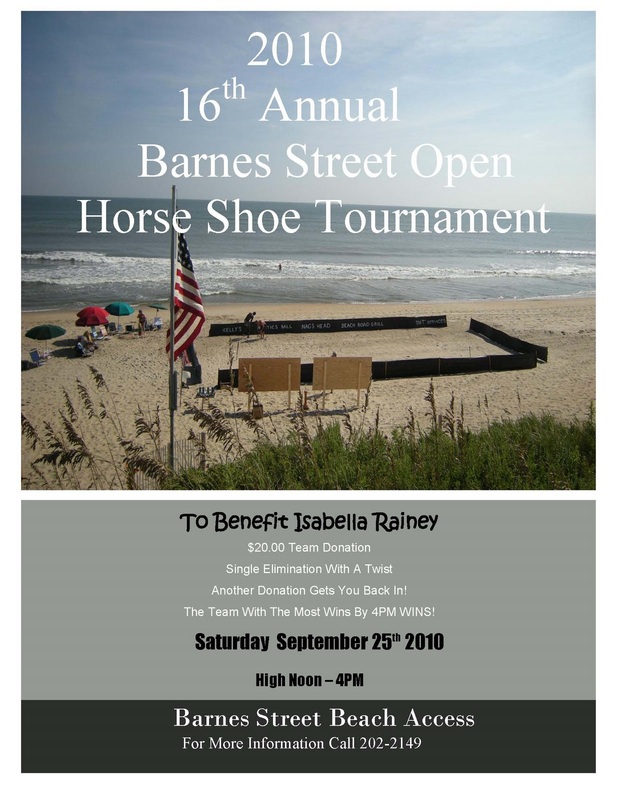 Michael O'Brien called me about the Barnes Street Open Horse Shoe Tournament next Saturday, Sept. 25 and said the organization plans to donate all proceeds to the Isabela Rainey Fund to help the family with their medical expenses. The tournament, held for the past 16 years to help individuals and charities, will be held at the Barnes Street beach access in Nags Head, NC from noon until 4 pm on Sept. 25. Show you spirit and your horse shoe skill by entering the tournament. Your $20 donation will go in its entirety to the Rainey family. If you are eliminated, you can still be a winner by entering again with another donation. And Isabela Rainey and her family will also be winners with your generosity. If you want to learn more call 252 202-2149. They will be glad to hear from you. And if you are not the horse shoe playing type, you can donate directly to the Isabella Rainey Fund online at the Outer Banks Relief Foundation. Be sure to note Isabella Rainey under "Donation in honor of" or you can mail a check to Outer Banks Relief Foundation, Inc., in care of Gateway Bank, P.O. 506, Nags Head, NC 27959. Make sure to put Isabella Rainey Fund on your check. UPDATE: One of the first benefit events for Isabela Rainey was held yesterday, Sept. 7 at Mexicali Brewz Cantina on the Beach Road in Kill Devil Hills. The event featured a pig pickin' and music by local bands along with corn hole games for the kids. Isabela Rainey, my good friend Gordon Rainey's daughter, suffered a brain aneurysm and is fighting for her life. She is only 13 years old. The family needs your help. Isabela has been in a coma since July 31 when she was flown to Children's Hospital of the Kings Daughters in Norfolk, VA.
A part of her skull had to be removed to relieve brain swelling and she has undergone brain surgery. She will need therapy afterward to relearn everything all over again, according to Gordon. "She is trying so hard to live. I am amazed at her strength and determination," said Janet Rainey, Isabela's mother. Please donate. Any amount would help and all monies go directly to the family for current and future medical bills. 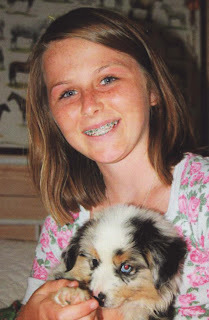 You can donate to the Isabella Rainey Fund online at the Outer Banks Relief Foundation. Be sure to note Isabella Rainey under "Donation in honor of" or you can mail a check to Outer Banks Relief Foundation, Inc., in care of Gateway Bank, P.O. 506, Nags Head, NC 27959. Make sure to put Isabella Rainey Fund on the check. I recently discovered a cool site called I Write Like, which analyzes your writing and determines who your write like. Facebook has a similar application called, What Kind of Writer are You? Paste a few paragraphs of your writing from your blog, a novel, or website into I Write Like, click "analyze" and instantly it says you write like Stephen King or Ernest Hemingway or Cory Doctorow. I usually don't put much faith in the accuracy of such gimmicky sites, but I put in two different passages from my novel, Dark End of the Spectrum, and both times it said I write like Cory Doctorow. Strangely, I never read anything by Cory Doctorow. The Associated Press reported that the site was created by Dmitry Chestnykh, a 27-year-old Russian, who modeled the site after software for e-mail spam filters and uploaded works by about 50 authors. He never expected the sudden success and plans to improve the site's accuracy by including more books. In any event, I wouldn't contact a literary agent or publisher and tell them you write like the author from I Write Like. 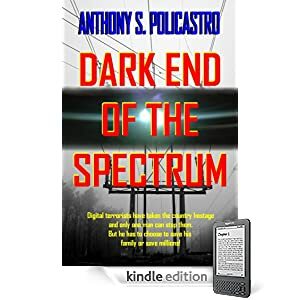 Dark End of the Spectrum reached the number 2 bestseller on the Kindle this past weekend. It is currently number 4. I would like to thank all of you who purchased a copy at 79 cents and I hope you had a great July 4th! Use your book cover as your avatar or personal photo. The book cover consistently reminds others you are published author. It may peak their curiosity enough to investigate your book and maybe purchase it. 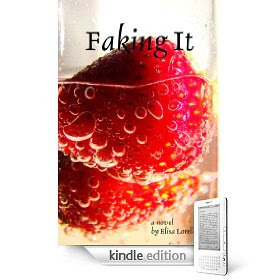 I asked novelist Elisa Lorello to share some of her insight in how her first novel, Faking It, peaked to number 6 on the Kindle Bestseller list during the last week of January with her second book, Ordinary World, positioning well around number 40. "The future has already arrived, it's just not widely distributed"
Like the Site? Send a Tweet. “Discover Innovative Methods to Turn Article Marketing Into a Roaring Success, Step-by-Step, from the Founders of One of the Internet's Most Successful Article Directories.” Click Here!